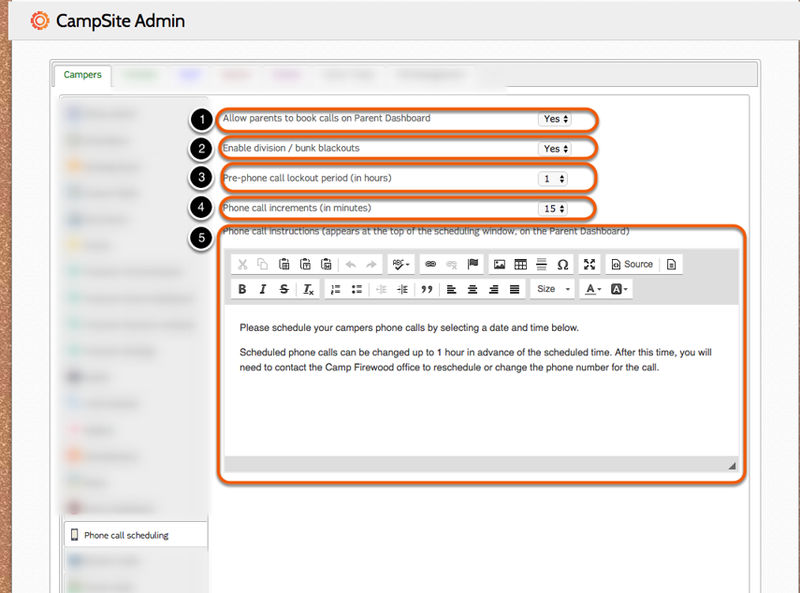 Settings for phone calls can be found in Admin > Camper > Phone call scheduling. The pre-phone call lockout period prevents changes from being made to a scheduled phone call on the Parent Dashboard. Within this time period, phone calls may only be changed administratively.